Block heel slide sandal in soft brown suede with extended cut-out double buckle vamp strap and grommeted gold-tone eyelet detailing. Rounded toe. 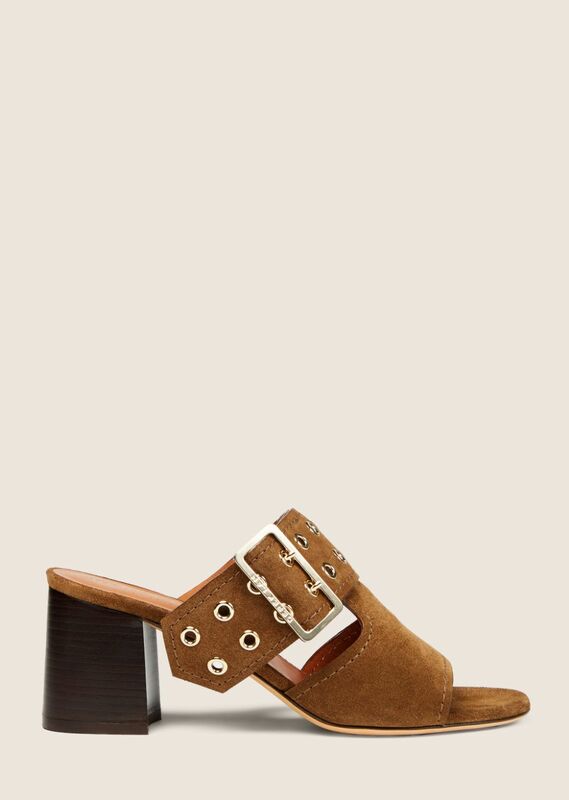 Tonal stacked leather block heel with rubber cap. Leather sole, insole, and lining. Handmade in Italy.